You decided. Union vote passes. 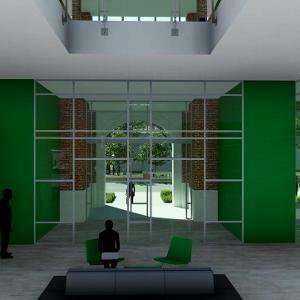 UND students voted YES in favor of the construction of a new Memorial Union. 2,439 total students voted on Nov. 20. 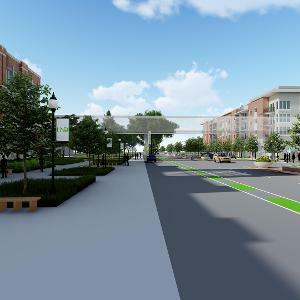 I AM IN FAVOR of supporting the construction of a new Memorial Union with a student fee in the amount of $14 per credit (capped at 12 credits/semester). This fee would increase by 2 percent each year and be paid by enrolled students beginning spring semester 2020 through fall semester 2059. Expanded study and meeting space. 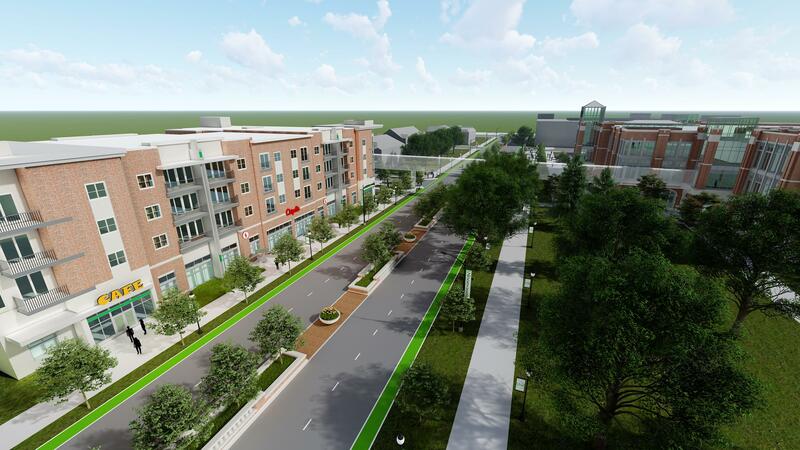 Improved dining and cafe options, multiple retail spaces and entertainment areas. Improved drop-off area and accessible entrances. 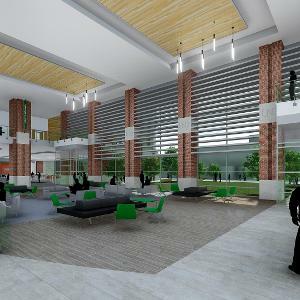 The new Memorial Union would be anticipated to open for student use in spring 2021. 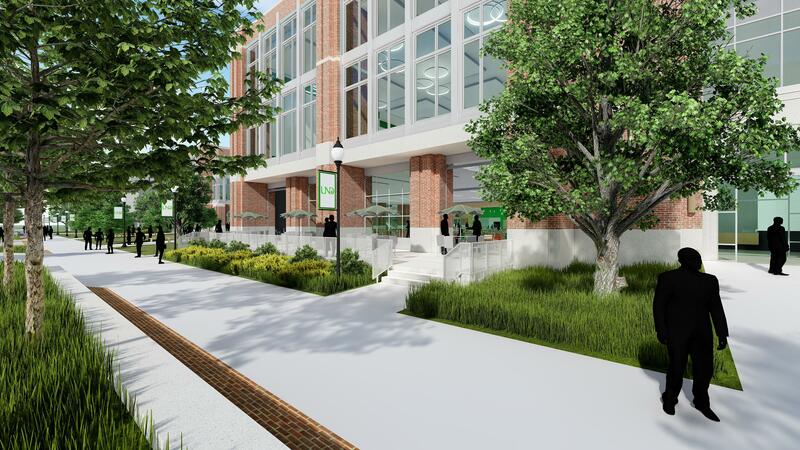 During the construction phase, priority student services would relocate to other locations on campus. 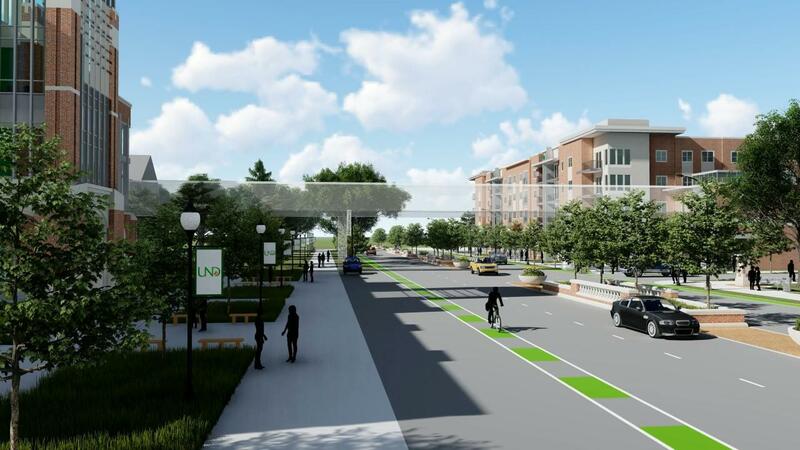 I AM NOT IN FAVOR of the construction of a new Memorial Union. Safety and accessibility compliance issues. Building condition challenges, including aging roof and foundation seepage problems. Technology deficiencies (e.g. audio-visual infastructure, WiFi, cellular reception). Inefficient energy systems, causing wasted resources and increased expenses. Outdated mechanical systems — electrical, plumbing, cooling, heating and ventilation — majority original to 1951 construction. 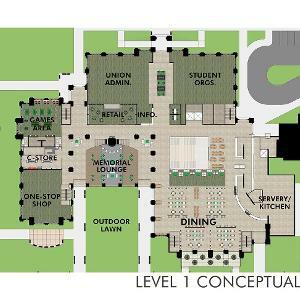 To catch up with more than $40 million in necessary and projected repairs and systems renewal for the existing Memorial Union, it would take years, if not decades, to identify the funding to address the current Memorial Union’s maintenance issues. 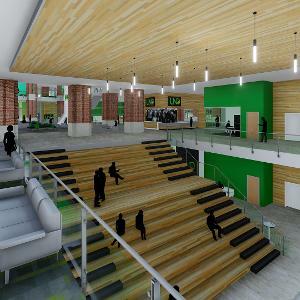 Atrium entry with natural light, energy-efficient windows and an open lounge with fireplace and flexible seating for students. 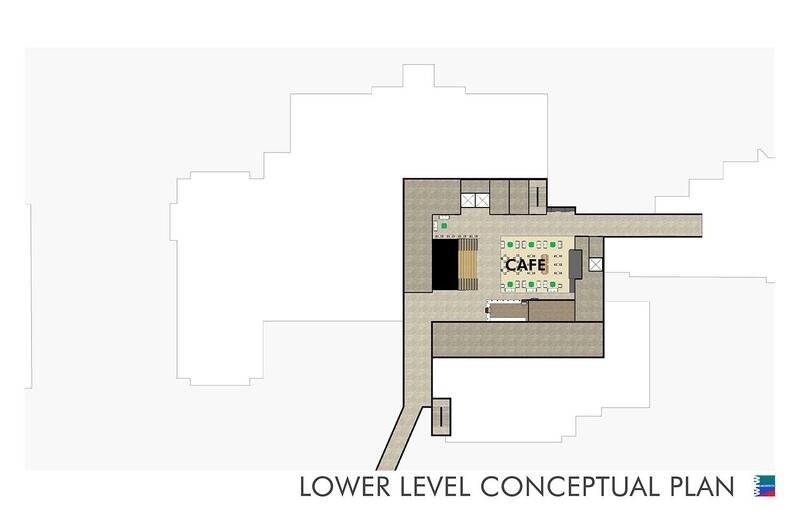 New cafe, larger convenience store and room for multiple retail and food venues. 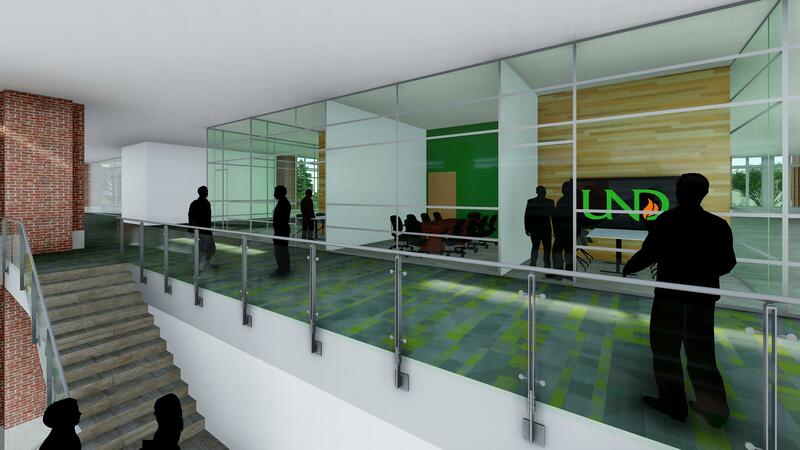 Multipurpose entertainment zone, open theater stairs and TVs for gamers and watchers. 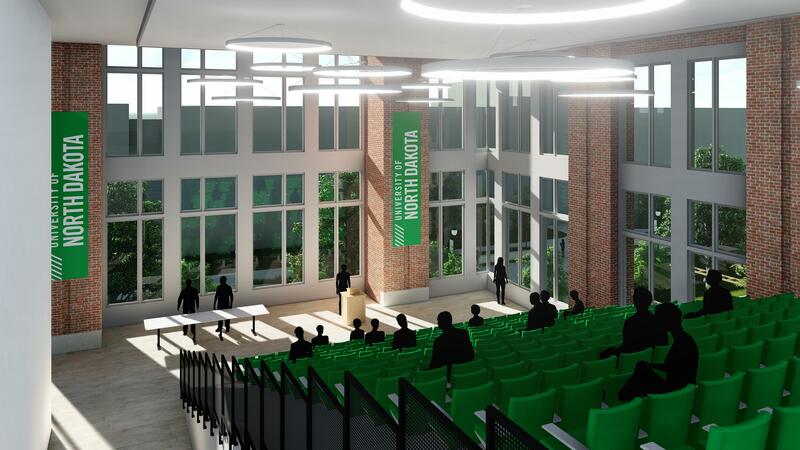 Multipurpose room with retractable seating for 300 that can be used for campus speakers, student organizations and other activities. Expanded study and meeting spaces range from individual study pods to group study spaces, including IT lounge with mixed furniture and technology. 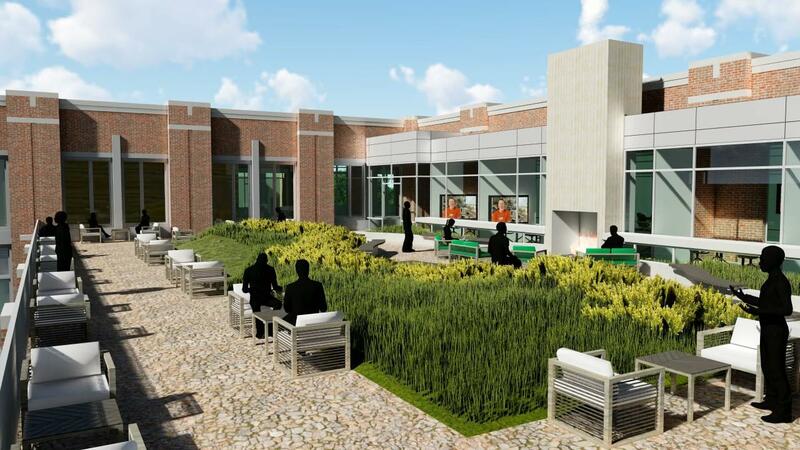 New dining and retail options with outdoor patio space and greenspace for meeting or studying. 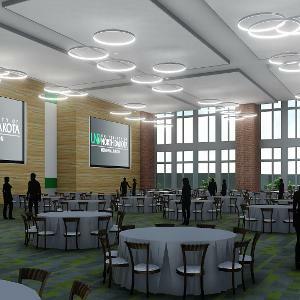 Larger ballroom with lecture space for 1,000 and banquet seating for 650. Space can be converted to smaller meeting rooms for events of all sizes. 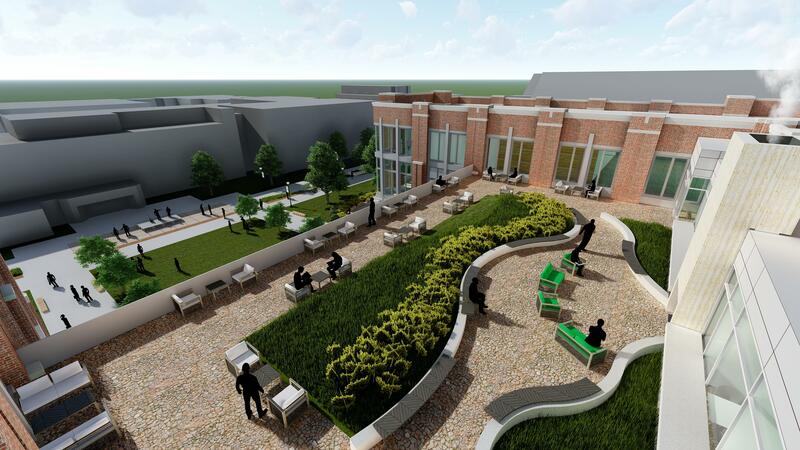 Rooftop terrace with mixed seating and sustainable landscaping to study or relax. 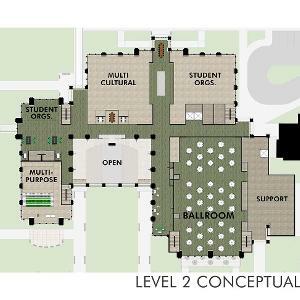 New affinity zones for International Center, Multicultural Center and Pride Center. 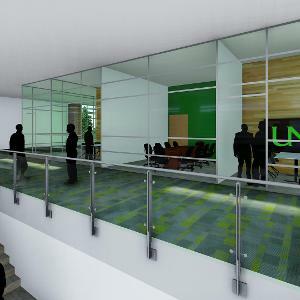 Resource and collaboration space for student organizations. 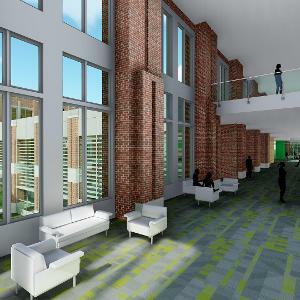 A three-story atrium entry with natural light, energy-efficient windows and an open lounge with flexible seating. A large fireplace and second-story balcony for student gathering. A large variety of meeting rooms and study spaces, ranging from individual study pods to group study spaces — all fully equipped with reliable WiFi/cellular service, HD screens, white boards and modern collaboration technology. 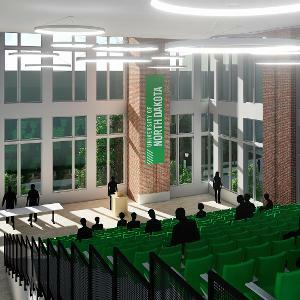 Multipurpose room with balcony, retractable theater seating for 300. New IT Lounge with mixed tables/furniture and state-of-the-art technology in printers, scanners, etc. Multipurpose entertainment zone with stage, open theater stairs with built-in seating and jumbo HD screen. 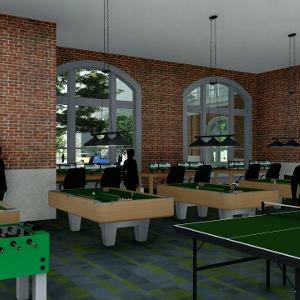 Expanded gaming lounge with table games as well as enhanced kick-back space for e-gamers and TV watchers. 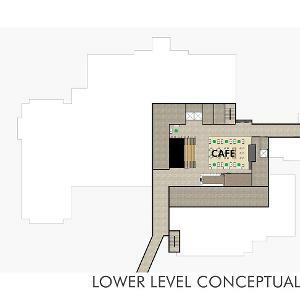 New cafe, larger convenience store and multiple retail venues. 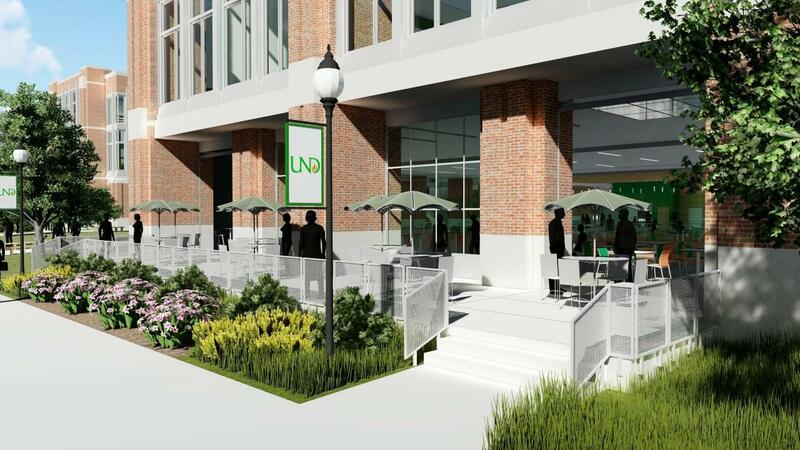 Outdoor dining terrace and patio space adjacent to future Second Avenue pedestrian promenade (closed to traffic). Rooftop terrace with mixed seating and sustainable landscaping. 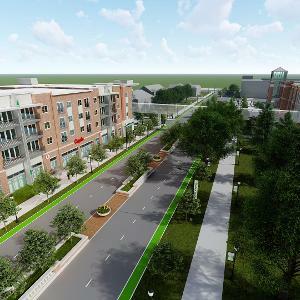 Flexible design anticipates campus growth and allows for seamless connections to future buildings through skyways and bridges. 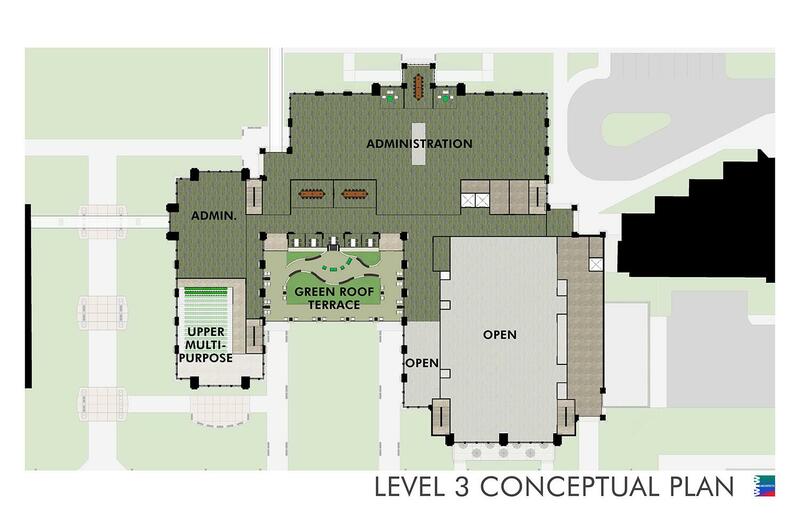 Additional indoor/outdoor greenspace with room for gardens and outdoor lawn activities. Enhanced sustainability features to conserve energy and reduce waste. Dedicated visitor drop-off and handicapped parking adjacent to building. 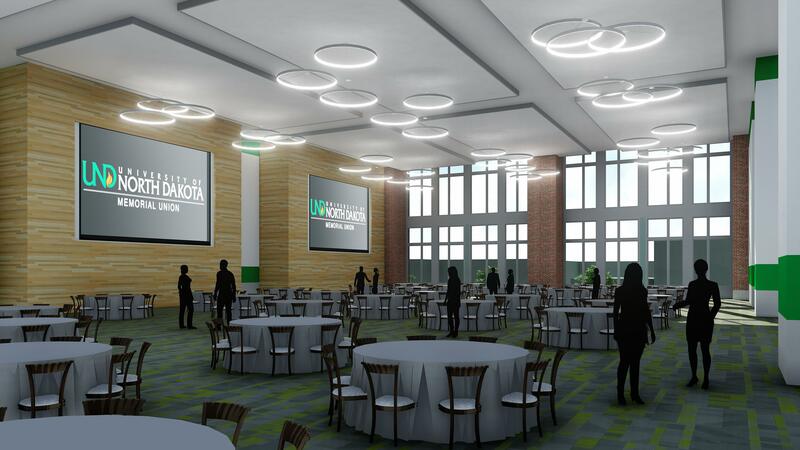 A 30 percent larger ballroom with lecture capacity of 1,000 people and banquet seating for 650. Space could be converted quickly to four smaller meeting rooms. 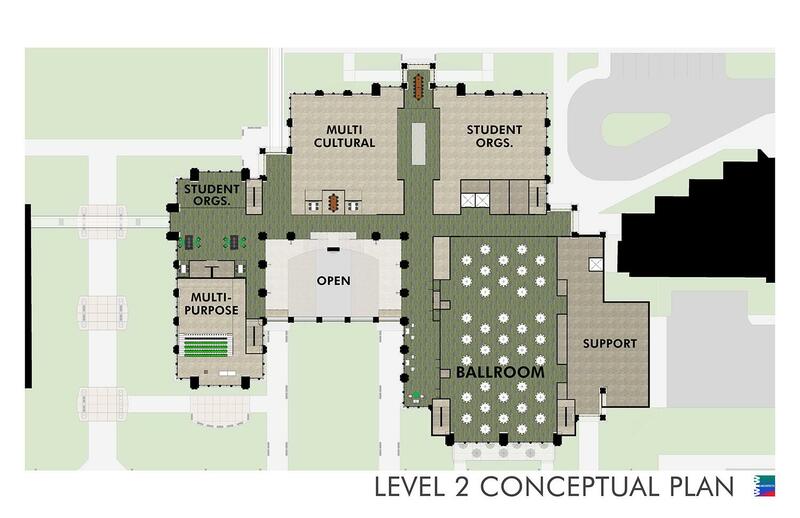 New affinity zones for International Center, Multicultural Center and Pride Center. 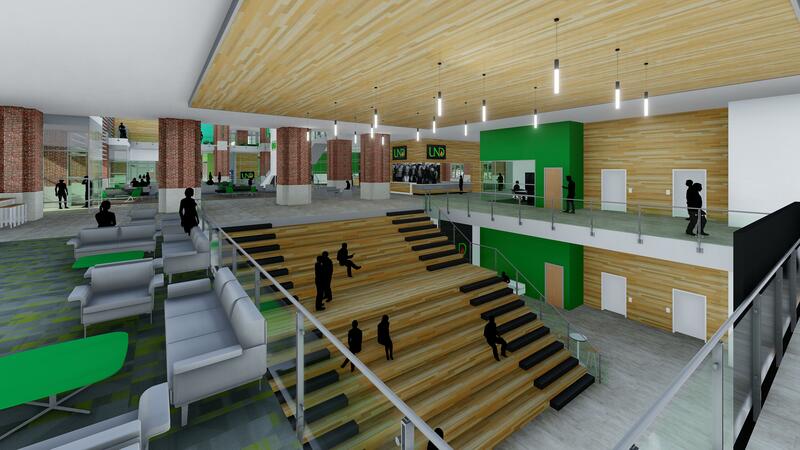 Expanded area for student organization resources and meeting spaces. Lower-level windows and foundation will need to be fixed to eliminate water seepage. Majority of current heating and cooling units are original to 1951 section of the building. Loading dock limits delivery and efficiency. Service elevator also will need to be replaced. Main entrance to building is not accessible for all visitors. Aging pipes, infrastructure and sprinkler system will need to be upgraded. Majority of roof is due for repair and replacement. 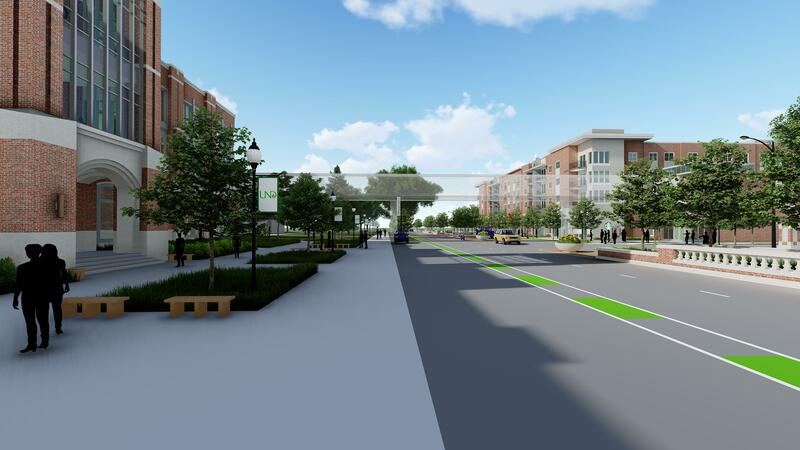 Second-highest traffic entrance on south end has inadequate ramp. Aging building service support systems will need replacement. December 2018 - May 2019: Full building design. 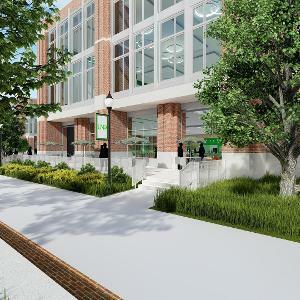 Summer 2019: Current Memorial Union is vacated and services/occupants are relocated to other campus buildings. 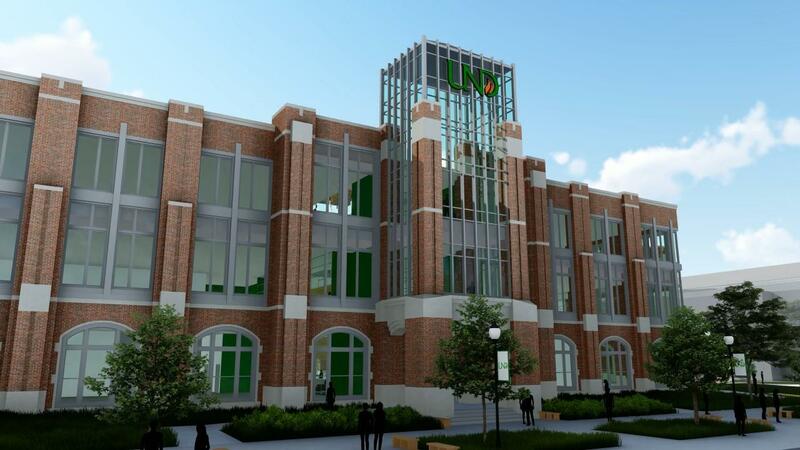 Fall 2019 - Spring 2021: Construction phase for new Memorial Union. 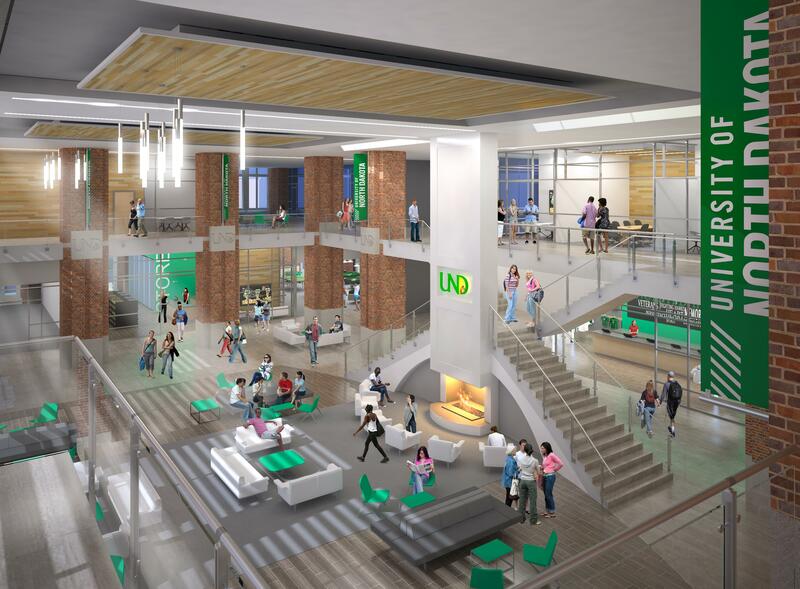 Spring 2021: New Memorial Union anticipated to open for student use. 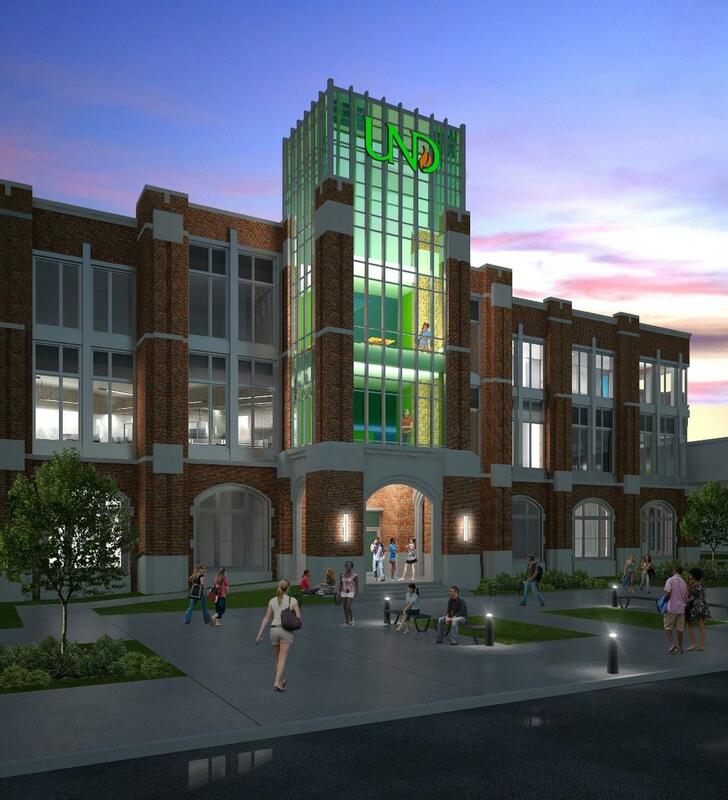 Based on current estimates, the Memorial Union would begin to be vacated at the end of the spring 2019 semester. 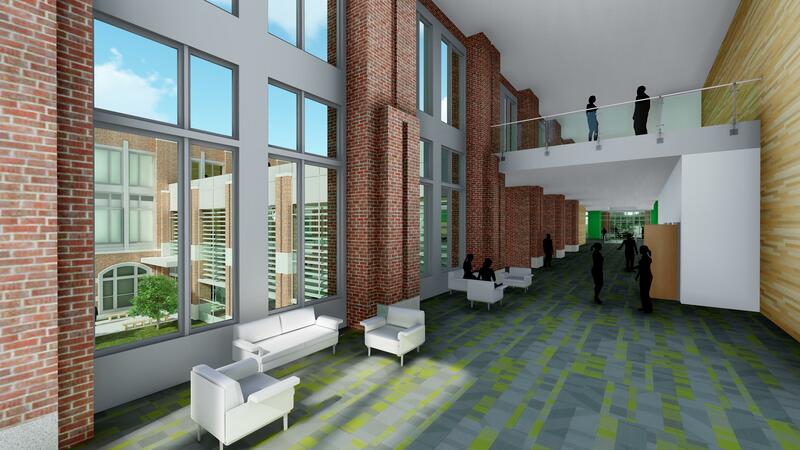 Relocation spaces will be identified with consideration of student access to priority services, occupant space needs and available space on campus. How do students get their say? 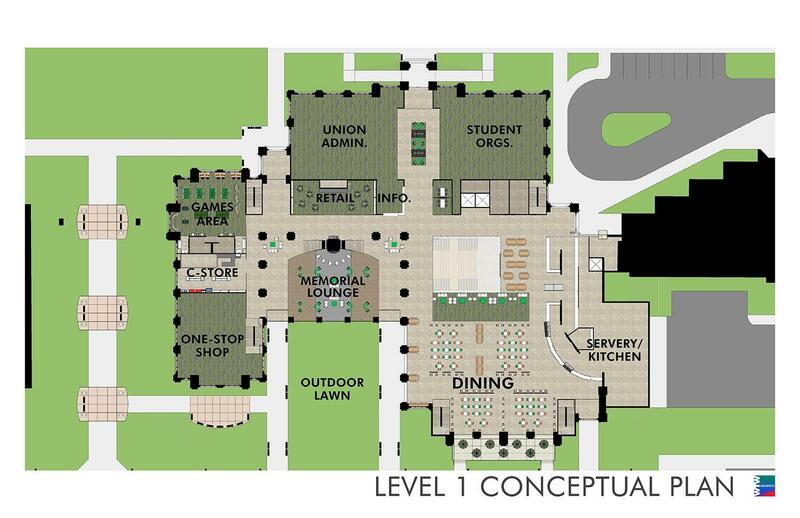 Student Government leaders have been involved in planning to consider improvements to the current Memorial Union since fall 2015. 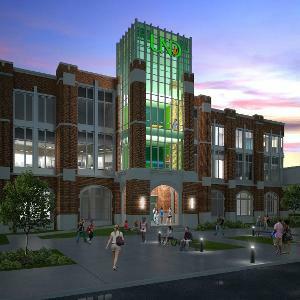 Cost estimates to fully renovate and build an addition to the existing Union were completed in 2017 and anticipated to be more than $103 million. 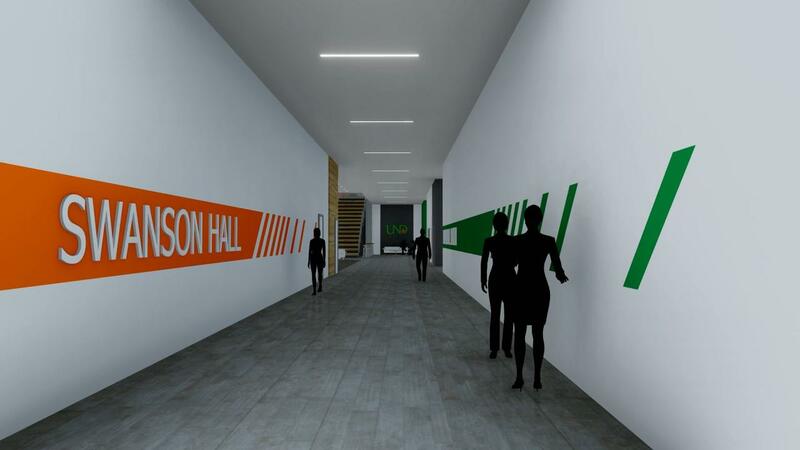 At that time, student leaders evaluated the proposed project and projected student fee increases and determined the costs were too high to pursue a renovation and addition. 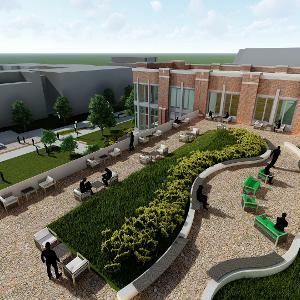 Student Government leaders initiated a second study in spring 2018 to consider a new and more cost-effective Memorial Union and determined that the proposed $80 million project was worth presenting to students for their consideration. 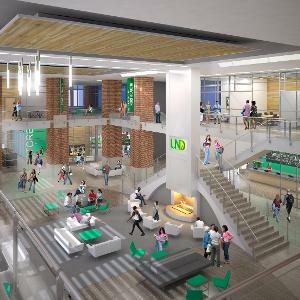 Help determine where specific offices and departments will be located in the new Memorial Union. 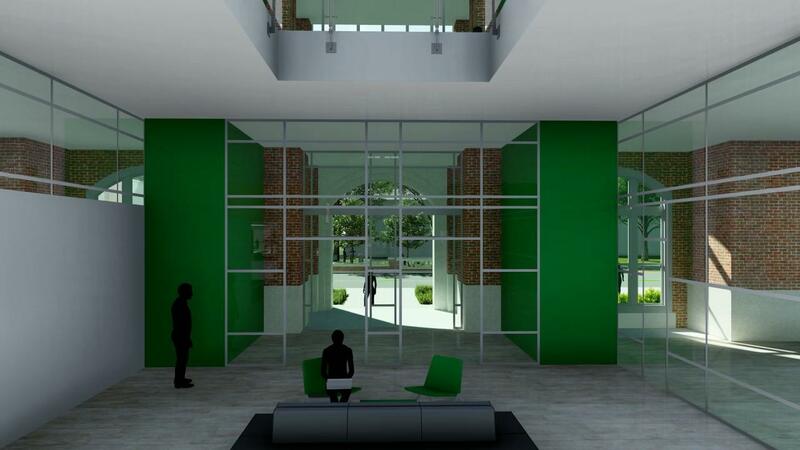 Be involved in the detailed design phase for the new building. 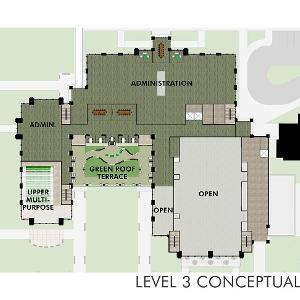 Participate in developing and recommending policies for the new Memorial Union. 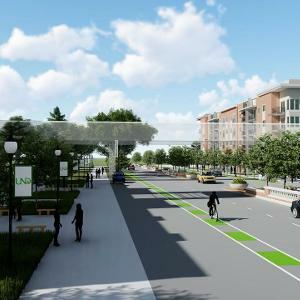 Submit your name and email address to be contacted with information and opportunities about the planning process. 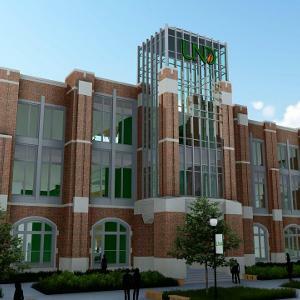 The Memorial Union staff will be in contact with individuals who have reservations in place to confirm plans and the impact on scheduled events. Event organizers are encouraged to consider alternate locations for their events as soon as possible and to make arrangements with the appropriate contact. As transition information is confirmed additional updates will be provided. 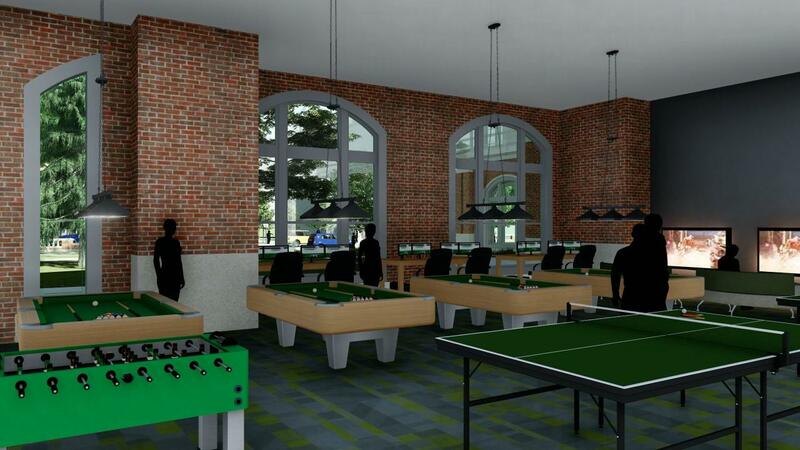 Why are students being asked to pay for a new Memorial Union? 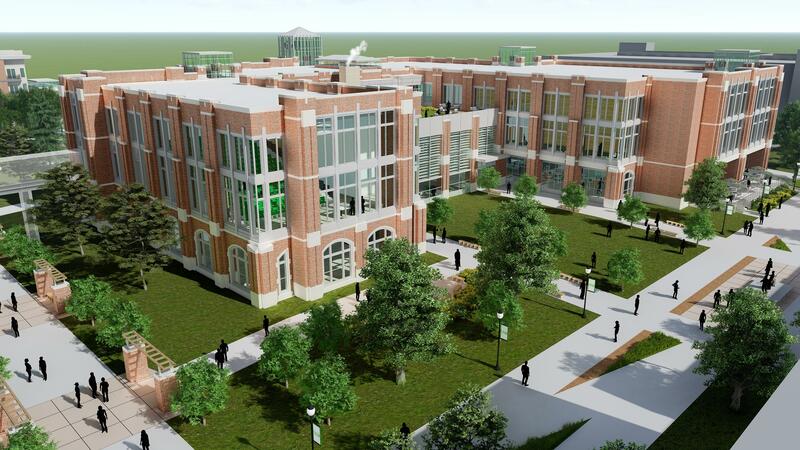 A number of campus facilities have been identified as priorities. 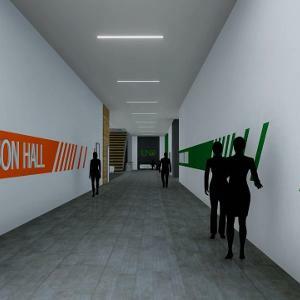 As the University explores funding sources for other renovation and construction projects, students are being asked to invest in a new Memorial Union. 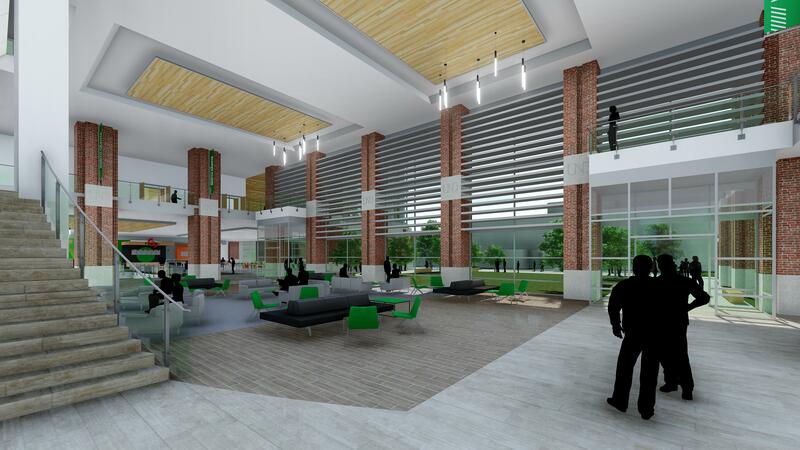 The original Memorial Union and its additions were the result of student initiatives, so a new Memorial Union will be decided and funded by students. 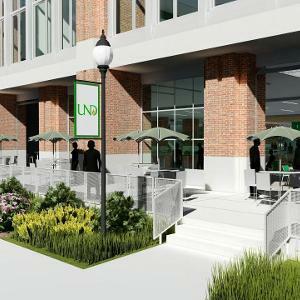 UND will contribute about 20 percent of the cost of operating and supporting a new Memorial Union. 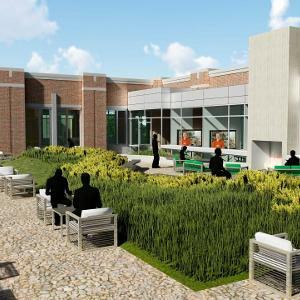 At the same time, the University is working with alumni, private donors and other funding sources to build a new College of Business & Public Administration as well as update the Chester Fritz Library, High Performance Center and the J. Lloyd Stone Alumni Center. 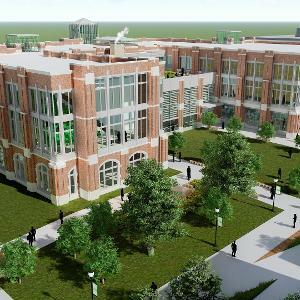 Money to support academic buildings comes from entirely different funding sources, and those buildings will be addressed through the University’s master plan.